We've covered our fair share of multi-chargers thus far, but Kanex is the most compact we've seen yet. It has an overall small footprint with the ability to power up three devices simultaneously. 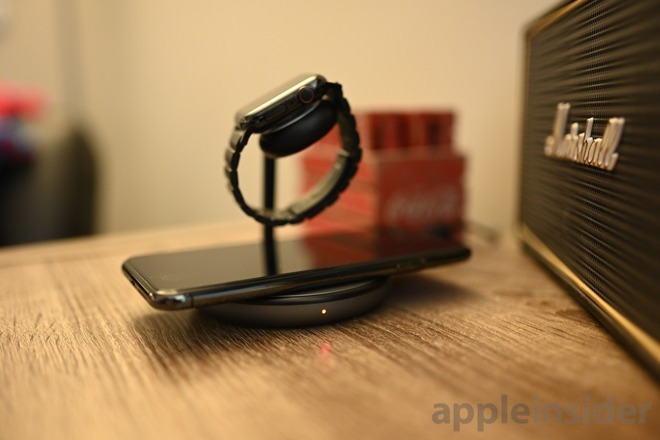 Wireless is the way everything is trending, between the magnetic charging puck of the Apple Watch, the fast wireless charging of the iPhone, to the still unreleased AirPower and AirPods Qi charging case. 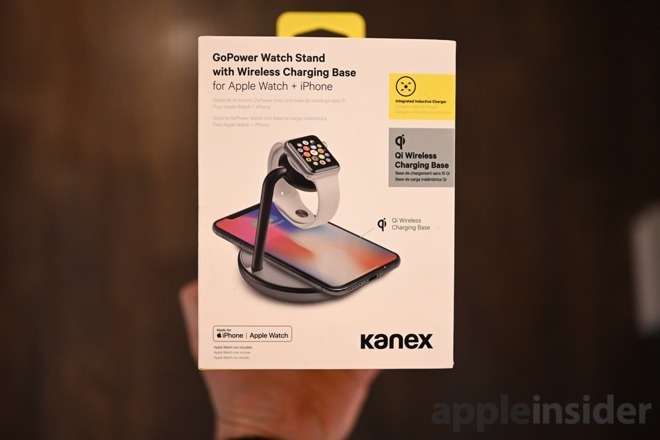 Kanex is squarely in the wireless camp with the GoPower dock, offering both an Apple certified Apple Watch charging puck and a 7.5W Qi coil below. 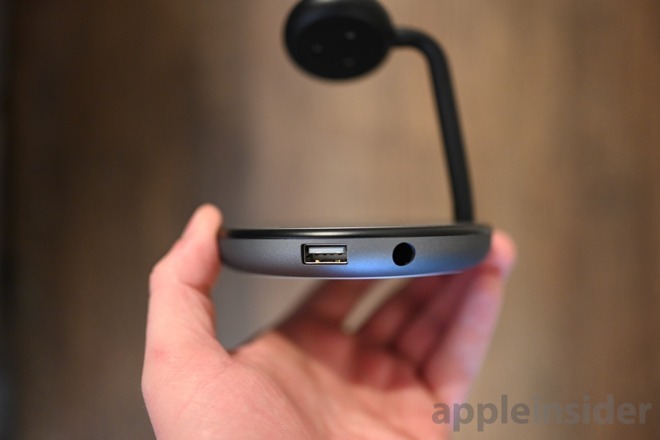 For devices that don't go wireless, there is still a USB-A port around back. This is a solid trio of charging methods that will fit the bill for almost everyone out there in the Apple ecosystem. The 2A USB port isn't the fastest, so if you want to fast charge an iPad, you should probably stick to a dedicated power brick. Another phone, a pair of headphones, or a portable speaker will all be a good fit, however. The compact nature of the GoPower comes at a price. 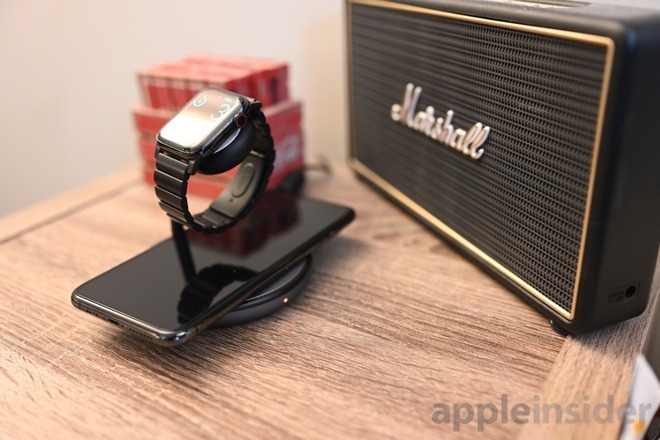 The Apple Watch is danged ever so precariously right above your iPhone's display. 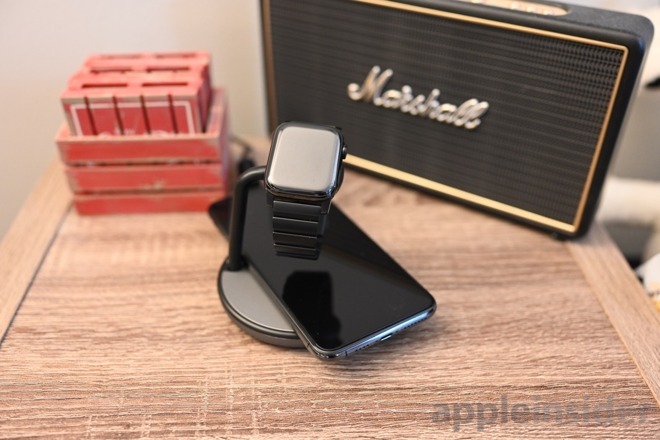 The magnet in the charging puck is enough to hold the watch in place without issue, but all it takes is a quick fumble to drop it right on your expensive device. This is basically the alternative to having them sit next to each other, which takes up twice as much space. Chargers are so plentiful it is hard to put up with compromises. Some charge more devices, some charge less. Some are expensive, some are not. Some are compact, some take some room for a unique device layout. Choice is good —it is entirely up to the user to pick which aspects of a device are most important for them. If you are fine with the Apple Watch sitting above your iPhone, there is no technical reason not to go with the Kanex GoPower charger. It is fast, well designed, and has more outputs than usual. The Kanex GoPower wireless charging dock is available for $79.95 from either Amazon or B&H.